How to Convert Old Black & White Photo to Color Photo [Hindi]? Hello friends. Aaj aap iss post me seekhenge ki kisi bhi old (purana) black & white photos ko color photo kaise banaye. How to convert a black and white photo to colored photos online for free? agar aapke pas koi purana black and white photo hai to aap use bahut aasani se rangeen photo bana sakte hai. Iske liye aapko kuchh online free software or mobile app mil sakte hai. lekin mai aapko ek website ka use use karke bataunga ki kisi old photo ko colored photo me convert kaise kare. How to Convert Old Black & White Photo to Color Photo? 1).Sabse pahale apne browser ko open kar lijiye. Iske bad browser me type kijiye 'Colorize Black and White Photos'. Fir jo website sabse uper aayega uss par click kijiye. ya fir aap iss link par click karke directly uss website ko open kar sakte hai. 2). Iske bad jo page khulega usase aap kisi bhi old black and white photos ko colored photo me convert kar sakte hai. 3).Aap upload otion par click karke kisi black and white photo ko upload kar lijiye. Iske bad 'colorize It' button par click kijiye. 4).Agar koi image kisi website par upload hai to aap uss image ke url ko bhi Yahan par paste kar sakte hai. aur uss image ko colorful bna sakte hai. 5). Iske bad aapko 'Download Colorized Image' ka ek option dikhega. 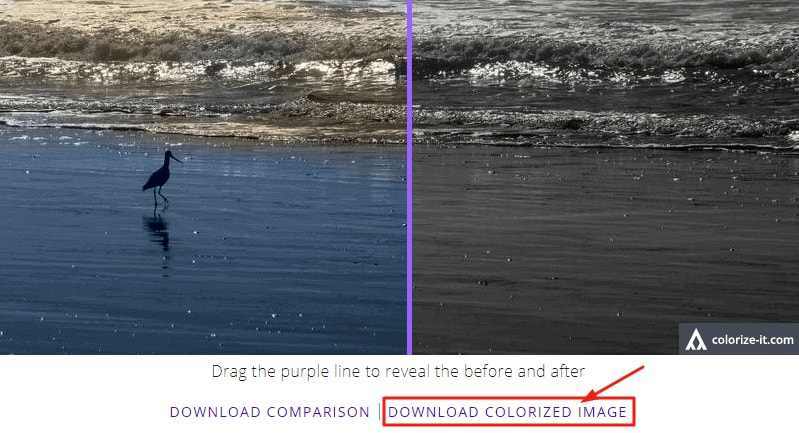 'Download Colorized Image' link par click karke colored photo ko download kar payenge. *अपनी Photo को जोड़ कर Video कैसे बनाए ? *फोटो को ऑनलाइन कैसे बेचे ? How to Sell Photos Online? *Internet Download Speed कैसे बढ़ाएं ? Ab aapne seekh liya ki kisi old (purana) black & white photos ko color photo kaise banaye. [How to convert black and white photo to color photos online free?]. Agar aapka koi sawaal ho to neeche comment karke pooch sakte hai. With this website, you can colorize an old black and white images instantly and get a new image. Incoming Keywords: convert black and white photo to colored app, colorize photos, software, Jankari in Hindi, color photos online free.